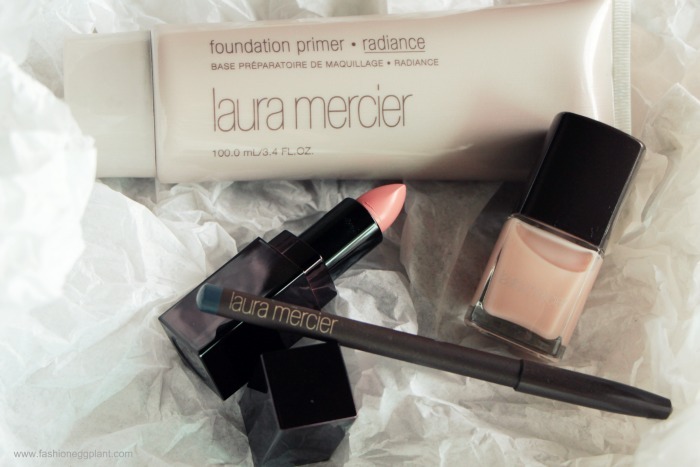 Laura Mercier's Spring 2013 "Arabesque" collection is something worth getting excited about. The Arabesque collection is inspired by light, movement and the feminine spirit. 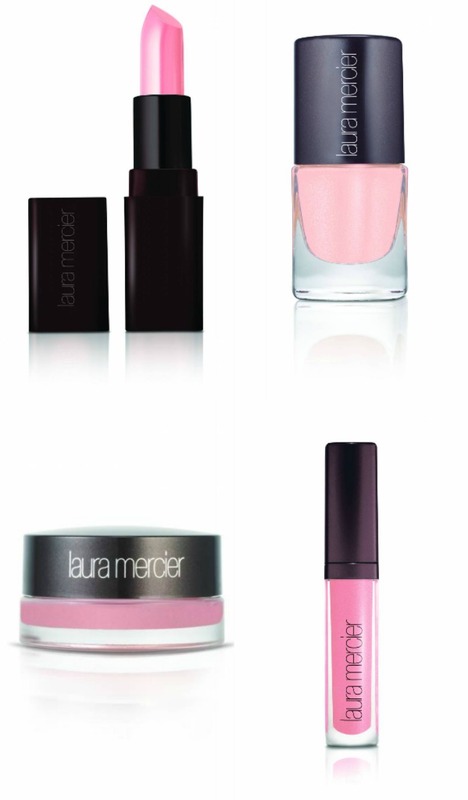 Laura Mercier took the sweet subtleness of ballet and the fluid movements of yoga and interpeted it into a color palette made up mostly of pink tones and pastels with semi-matte eye shades in blue and black to ground the look. The result is soft, beautiful and ethereal. model is wearing - Foundation Primer, Moisture Suprême Foundation in Warm Ivory, Secret Camouflage in SC-3, Secret Concealer in #2, Secret Brightening Powder in #1, Loose Setting Powder in Translucent, Crème Cheek Colour in Oleander, Shimmer Bloc in Pink Mosaic, Eye Canvas in EC-2, Free Spirit Baked Eye Colour Palette, Eye Pencil in Midnight Bleu, Faux Lash Mascara in Navy Slate, Crème Smooth Lip Colour in Arabesque, Lip Glacé in Bare Pink. 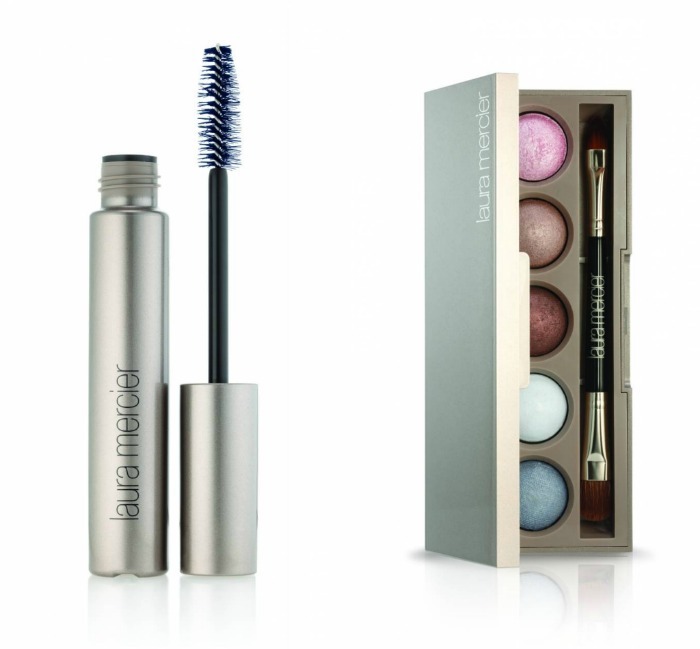 The baked eye colour palette can be used either dry, for an even finish, or wet for a more vibrant effect. The set includes 5 limited edition colours in blue zen, soft cloud, satin ribbon, bare yoga and pink tutu. 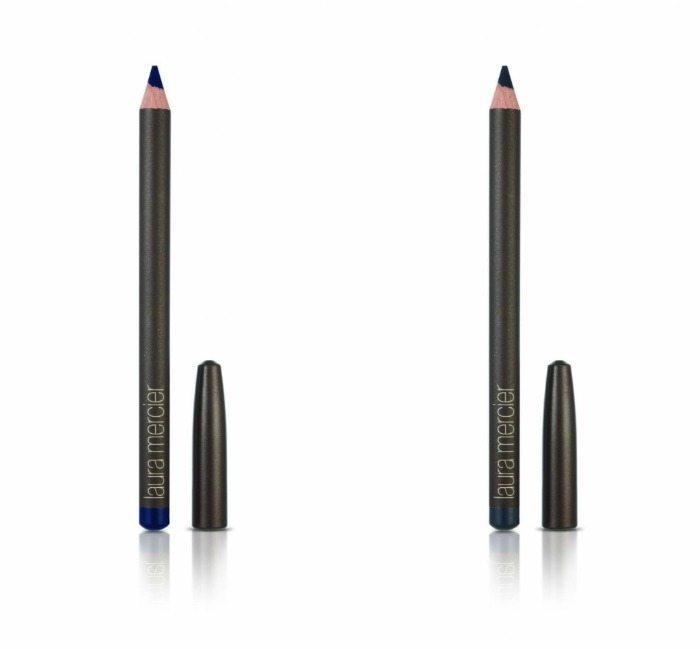 Laura's eyeshadows are lightweight, long wearing (8 hours), the color stays true and it doesn't crease or smudge. They're also very easy to blend. A great option for beginners. The shades are often very flattering and will look good no matter what combinations you choose. A great buy indeed especially this summer. These colors will look great on tan skin and will have you looking like a beach godess. On a slightly different note...Laura Mercier's Foundation Primer - Radiance is now available in jumbo size for a limited time. Sold at P2250, this gives you a 30% discount off. Now is the time to buy. In case you're not familiar with the product, LM's foundation primer-radiance is responsible for the over-all dewy look that keeps us looking young. Just spread over the face after moisturizer and before your tinted moisturizer. It also minimizes the look of imperfections helps your make up last longer. It's non-greasy and is safe for all skin types, even sensitive. 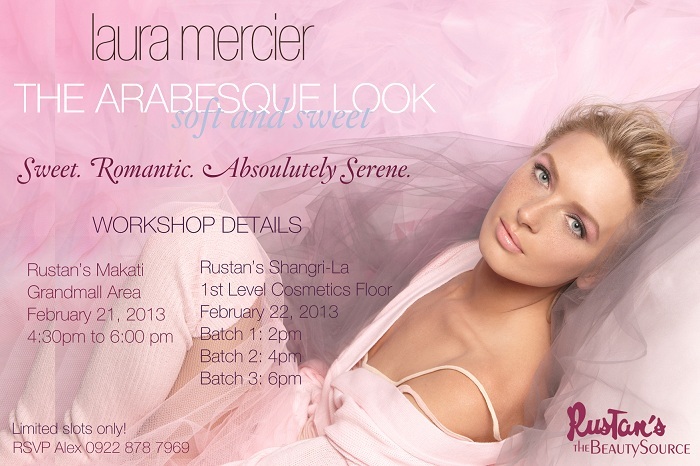 And lastly, if you want to learn the secrets to a perfect, polished and pretty Arabesque look, Laura Mercier is holding a free workshop this February 22. See posters below for more details. No purchase is necessary to attend. Laura Mercier's Spring 2013 Collection is now available at all Laura Mercier boutiques and counters.